Thirty tri-county firms ranked on the Inc 5000 list of the fastest-growing private companies in the U.S. this year. The national rankings include area firms in the software, employee benefits, hardware and moving and storage industries, to name a few. The Business Times chatted with two Inc 5000 CEOs to get their take on what’s driving growth. Here’s a closer look. Santa Barbara-based tech firm Ontraport provides an online sales and marketing platform for small businesses. Its flagship product, OfficeAutoPilot, wraps a range of services — customer relationship management, email marketing, payment processing and even building a company website — into one package. Between 2009 and 2012, its revenue grew 761 percent to $4.7 million, landing it the No. 603 spot on the Inc 5000 this year. The company went from a dozen or so clients when it started up in its founder’s garage in 2009 to about 5,000 currently. CEO Landon Ray said new customers have found the firm almost exclusively via word of mouth. “This business has never really done any marketing,” he said. As its sales have taken off, Ontraport has also been hiring. 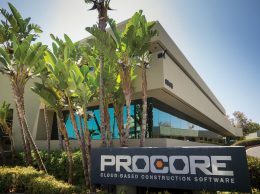 Over the last year, it has almost doubled its workforce to 71, and Ray said the firm continues to hire for software engineers, graphic designers and support staff. The company looks outside the region or even the country to find the talent it needs, he said. Support staff is often hired locally, but technical people can be from anywhere in the world. The firm’s next step is to continue to scale. After a rebranding last year, it now markets directly to customers as Ontraport, rather than as OfficeAutoPilot, its software offering. Ontraport hosts an annual October conference at Bacara Resort & Spa in Goleta called ONTRApalooza, where clients can go to network and to learn learn about small-business technology and marketing strategies. Beneflex Insurance Services’ growth also comes from providing a one-stop solution to business owners. CEO Dan Cattaneo of the Santa Barbara-based insurance firm said his company’s 96 percent revenue growth over three years stems from his its commitment to take some of the burden off of employers when it comes to navigating health care reform. The employee benefits firm has positioned itself as a go-to resource for employers and their workers when it comes to figuring out anything to do with Affordable Care Act compliance. An in-house compliance officer is available for employers to call regarding any issues related to the new insurance rules. And a team of Beneflex employees on its “BenAssist” team are on call to assist employees who have questions about their health, vision or dental plans under the new system. “There’s just so much confusion around health care reform that it’s become a real challenge for even individuals to figure it out,” Cattaneo said. Beneflex has also made sure it’s seen and heard around town, offering seminars and webinars where executives and human resources professionals can learn more about the new insurance rules and regulations coming down the pike. Beneflex’s revenue grew 96 percent between 2009 and 2012, to $3.2 million last year. That landed the company at No. 3317 on the Inc 5000’s list of fastest-growing private companies in the U.S.
“We’ve generated that growth because I think we do things differently in our space,” Cattaneo said. The following is a list of the regional firms who ranked on this year’s Inc 5000. Notes: Companies marked with an asterisk also appeared in the Business Times’ 50 Fastest-Growing Companies special section, which published on Aug. 23. The Inc 5000 ranked only privately held firms based on revenue growth between 2009 and 2012; Fastest-Growing Companies ranked both public and private companies in the U.S. based on revenue growth between 2010 and 2012.